Olympic, World and Commonwealth champions fill the British line-up as the teams for the 2018 European Championships are announced. In the senior men’s team, double Olympic champion Max Whitlock MBE returns to the Hydro Arena, where he won his first World title, alongside fellow Commonwealth gold medallists James Hall, Dom Cunningham and Courtney Tulloch with 2017 British champion Joe Fraser making a welcome return from injury to complete the line-up. Two-time European bars champion Becky Downie, Commonwealth champions Alice Kinsella and Georgia-Mae Fenton, British champion Kelly Simm and Commonwealth silver medallist Lucy Stanhope compete in the women’s senior team. There will also be a chance for our rising stars to show their potential as our best junior gymnasts will also be in competition. The women’s team will be Ondine Achampong, Halle Hilton, Pheobe Jakubczyk, Amelie Morgan and Annie Young. The men’s team is Adam Tobin, Jake Jarman, Jamie Lewis, Donell Osbourne and Pavel Karnejenko. British Gymnastics Performance Director, James Thomas: "The European Championships presents a tough challenge on home soil for the Great Britain teams as we continue our preparations for Tokyo 2020. The selected teams have an exciting balance of proven world class performers alongside a number of talented gymnasts who are looking to breakthrough and make their mark on the world stage, and what better place to do that than in front of a home crowd. These championships give us an opportunity to test ourselves against Europe’s best ahead of the 2018 World Championships in Doha." Max is excited to be back in action on home soil saying: "Competing in Glasgow brings back amazing memories for me from both the Commonwealth Games and the 2015 World Championships. I’m looking forward to getting back out in the Hydro Arena and showing the home crowd what I can do. Every gymnast in the British team has proven themselves on the biggest stage and as a team I’m confident that we can be successful again against Europe’s best." Becky Downie is also looking forward to competing for the home crowd: "It’s always an honour to be selected to represent Great Britain but this time round feels extra special because I’m so grateful to be finally healthy and doing what I love again. 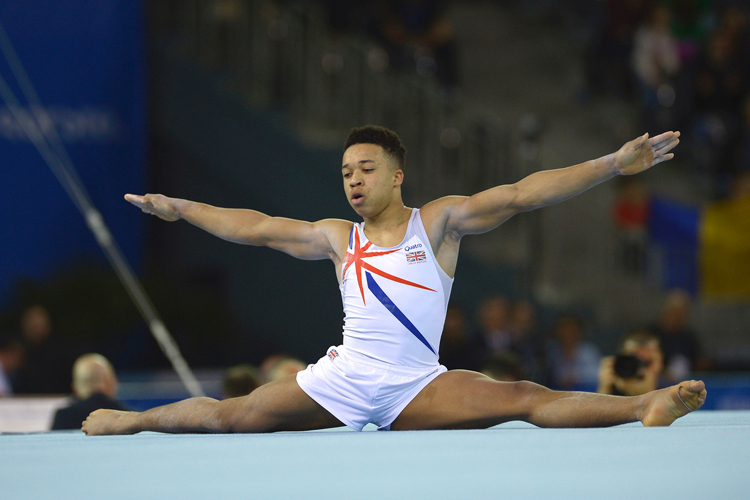 I’m really looking forward to being back on the competition floor with the team and the fact it’s a home country European Championships makes it even more exciting." The championship take place from the 2nd-12th August as part of the inaugural European Championships an exciting new multi-sport event bringing together some of the continent’s leading sports including the existing European Championships for Athletics, Aquatics, Cycling, Gymnastics, Rowing and Triathlon with a new Golf Team Championships. The senior gymnasts will compete for team and individual apparatus titles whilst the juniors contest the team, all-around ad apparatus events. The women compete from 2nd-5th August while the men hit the stage from 9th-12th August, in the SSE Hydro, venue of the 2015 World Championships.